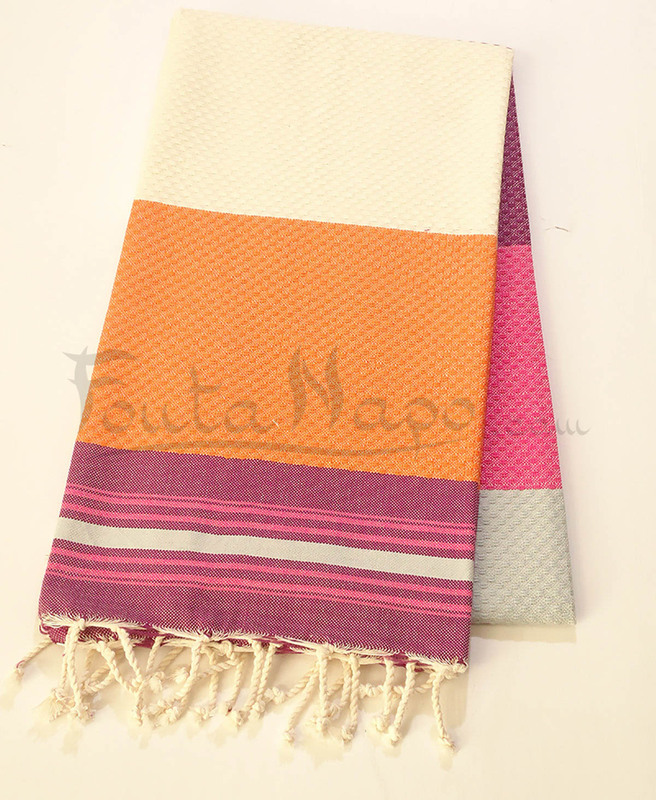 The fouta towel Honeycomb 5 Colors Orange & Purple is a beautiful towel with different uses. 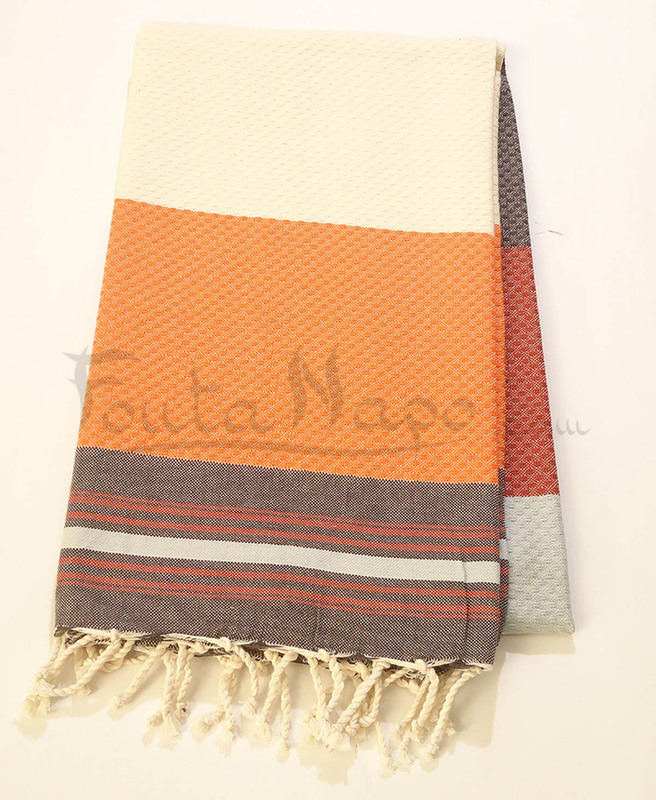 Nowadays the fouta has become an indispensable accessory. You can used on the beach , on the pool or at home as tablecloth. It’s very soft ,chic and modern.